Despite the poor job market, gutsy risk-takers can still find lucrative work pretending to be hedge fund managers. 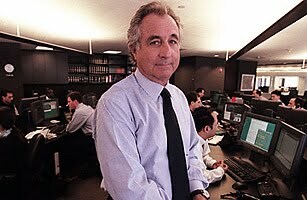 One particularly daring breed of pretend hedge fund manager is the so-called “free rider.” These Wall Street daredevils trade stocks using funds that they borrowed, without permission, from reputable stockbrokerage firms. Though lucrative and exhilarating, free riding in the stock market carries a few notable risks, including possible New York state criminal indictment, federal criminal charges, and SEC fraud charges, as Scott Kupersmith recently learned, a successful pretend hedge fund manager from Florida. Let’s take a closer look at Kupersmith’s free riding . . . Filed Under: Criminal, Free Riding, Hedge Fund, Lighter Note, SEC, Securities and Exchange Commission, Securities Fraud, State Securities Regulators Tagged With: Atlantic Southern Capital Group, Barclays Capital Inc., Cantor Fitzgerald & Co., Delivery vs. Payment, DVP Account, Frederick Chelly, Free Riding, Fullerton Capital Group, Hedge Fund, Inc., Janney Montgomery Scott LLC, JP Morgan Securities LLC, Lazard Capital Markets LLC, Madoff, Morgan Keegan & Co. Inc., Oxford Smith Advisors LLC, Scott Kupersmith, Securities Fraud, William Blair & Co. Inc.